The ferry we went for was sold out, but they allowed us to get standby tickets and, after waiting in line with other cars and motorbikes for some time, we got on. They were expensive tickets for a three hour trip though – around 500 SEK each. There’s a very nice view of Visby as the ferry approaches. 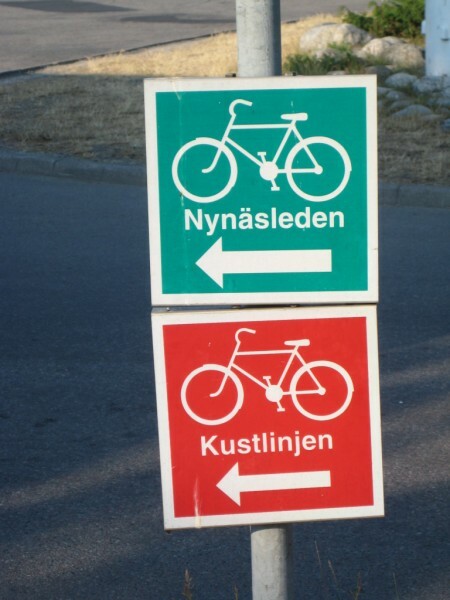 Again there’s a bike route signposted immediately when you get off the ferry (Gotlandsleden). There were a lot of cycle tourists in Visby. Looking at the gear some of the bikes are carrying most of them were probably new to the activity. There were families with huge family tents, backpacks sitting in buckets on the rack, and even a rolled up foam mattress (a proper mattress, not a camping one) tied to a pannier rack. We arrived in the afternoon and left from Visby at about 3:30pm. Following the Gotlandsleden north, it was flat apart from the climbs to get from the beach to the main road, and very little traffic. Even though it was a late start we still managed a stop to see the Lummelunda Cave along the way. It was a fairly regular tourist cave, but a little overhyped. 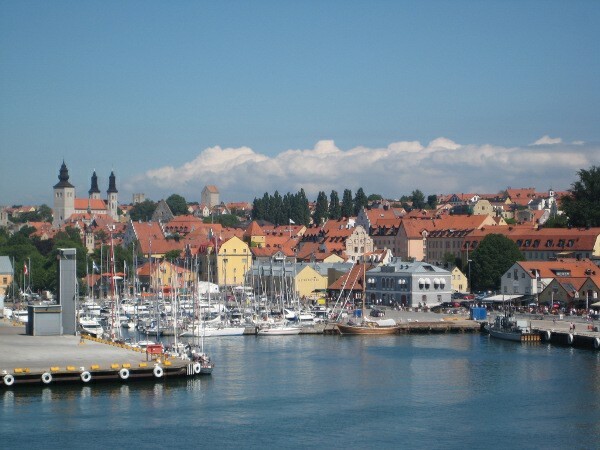 Apart from Visby itself it’s one of the main tourist attractions of the island, but it would be OK to give it a miss. Accommodation is easy to find in the area. We passed a few signposted campgrounds, and managed to find a small cabin for the reasonable price of 400 SEK at a “Mix Ranch” near Stenkyrka. The place had a bar and restaurant, and a bunch of goats and other animals on the property.